Paging is also inherently insecure. Anybody can read a message if the pager is left unattended or inadvertently communicate confidential information – either by sending a reply message on a two-way pager system or via an unsecure channel of communication such as an SMS or an email. Many healthcare organizations are aware of the security risks associated with paging, and have implemented a secure texting solution to replace pagers. 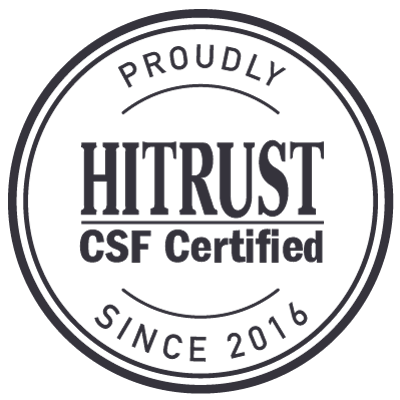 This has the benefits of improving efficiency and message accountability, while also complying with industry regulation relating to patient security and privacy. Using a secure texting system to replace pagers is easy. Once the solution has been implemented, medical professionals can access and communicate encrypted electronic protected health information (ePHI) via a secure text messaging application downloaded onto their mobile device or desktop computer. Once they have identified themselves with a unique username and password code, the secure text messaging app connects medical professionals to others within their secure company network. Medical professionals can send and receive messages securely from their mobile devices or desktop computer and exchange patient files, images and lab results with other authorized users within the network. 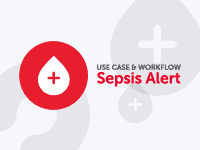 A message forwarding function allows other authorized users to join an existing discussion thread to enable collaboration on patient healthcare and to streamline workflows. How Does Secure Texting Improve Efficiency and Message Accountability? Efficiency is improved via delivery notifications and confirmation that the message has been read, which significantly accelerate communications. Studies have shown that some medical professionals spend more than one hour each day following up, escalating patient concerns and requesting physician consults. Other research has revealed that 80 percent of medical professionals use their personal mobile devices to communicate ePHI in the workplace. They had previously encouraged Bring Your Own Device (BYOD) policies. By using a secure texting solution to replace pagers, organizations are spared the cost of implementing an expensive system of secure communication to replace pagers. The platform has administrative controls to monitor and record activity on the secure texting solution. These facilitate 100% message accountability – as messages are timed and logged – and the facility also exists to remotely time out an authorized user´s mobile device if it has been inactive for a period of time, retract and delete messages, and remove an authorized user from the organization´s network if their mobile device is lost or stolen. From our case studies, we would like to present two examples of what happens when organizations replace pagers with secure texting. The first concerns Albany Gastroenterology Consultants in New York, who were concerned about their loss of productivity due to phone tag and other communication issues, and who wanted a cost-efficient and HIPAA compliant secure texting solution to replace pagers and improve message accountability. 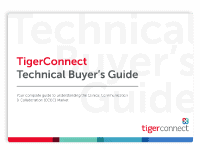 Once TigerConnect’s secure texting solution had been implemented, all their communication issues were resolved. The organization also benefitted from switchboard operators no longer duplicating messages – as they could see the same messages on every computer – and short-sighted doctors being able to use the zoom facility on their Smartphones to read their messages without having to find their reading glasses! The challenge at San Joaquin General Hospital in California was somewhat different. Nurses at the hospital relied heavily on a public address system to relay critical messages to doctors – causing significant noise without any guarantee that their messages were being received. Staff also needed a secure method to communicate to trauma teams to attend to patient concerns more efficiently. TigerConnect’s secure texting solution to replace pagers again resolved the hospital´s communication issues, with the added benefit that their Hospital Consumer Assessment of Healthcare Providers and Systems score improved due to the higher level of satisfaction experienced by patients in the 196-bed facility. Not all secure messaging solutions are the same, and for this reason we have compiled the free white paper “The Top Ten Questions to Ask before Selecting a Secure Messaging Solution”. Integration of a secure texting solution with existing application? The white paper is free to download and read and will provide healthcare organizations with valuable advice on how to replace pagers with secure texting to increase efficiency and security. TigerConnect is the industry leader in secure communication solutions for the healthcare industry, and more than 5,000 medical facilities have implemented a TigerConnect secure texting solution to replace pagers and other forms of unsecured communications. 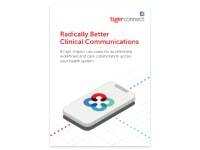 We offer healthcare organizations the opportunity to request a free demo of TigerConnect’s secure text messaging solution in action and to ask us any questions about how to replace pagers with secure texting to streamline workflows, improve efficiency and enhance the standard of healthcare provided to patients. If you would like to know more about a secure texting solution to replace pagers, you are invited to contact us and speak with our team of dedicated advisors to determine the most practical solution for your healthcare organization to replace pagers with secure texting.